Buckling under the pressure from Hillary Clinton’s presidential campaign, The Associated Press confirmed on Thursday that it is deleting a two week-old tweet that was critical of the Clinton Foundation. The Associated Press today is deleting a 2-week-old tweet about Hillary Clinton’s meetings as Cabinet secretary after concluding the tweet fell short of AP standards by omitting essential context. At the same time, we are revising our practices to require removal and correction of any AP tweets found not to meet AP standards, including tweets that contain information that is incorrect, misleading, unclear or could be interpreted as unfair, or having a problem in tone. The AP’s original investigation focused on then-Secretary of State Clinton’s discretionary meetings with individuals who were not in the U.S. federal government or representatives of foreign governments. 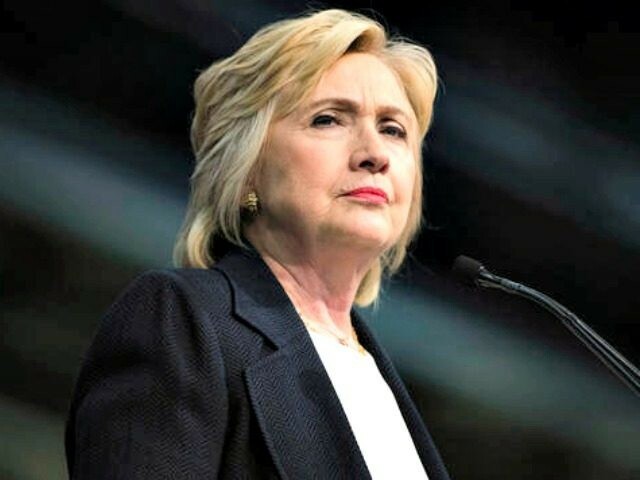 The AP couldn’t include information pertaining to all of Clinton’s meetings as Secretary of State, because the State Department refuses to release Clinton’s schedules from her time at State. The AP posted a new tweet reflecting its updated report. “AP review: Many of the discretionary meetings Clinton had at State were with people who gave to Clinton Foundation,” the Tweet said. Mere hours after the AP posted the original tweet, linking to its report, the Clinton Campaign ripped into the news outlet. Defending her news organization’s report, executive editor Kathleen Carroll told CNN last month that the tweet was “sloppy” and that the AP had plans to delete it. In the earlier days of Twitter, there had been a belief that removing tweets was akin to retroactively editing a conversation; it wasn’t transparent. Additionally, tweets were seen more as providing paths to in-depth content and less as content in themselves that would remain in the public discussion for an extended period. ndustry thinking on this topic has been changing. And the controversy over the AP tweet has led us to an extensive reflection on this evolution. While the AP’s original tweet is gone, their findings — and the mounting evidence that supports them — still strongly suggest that Hillary Clinton used her position as secretary of state to sell access to major Clinton Foundation donors.